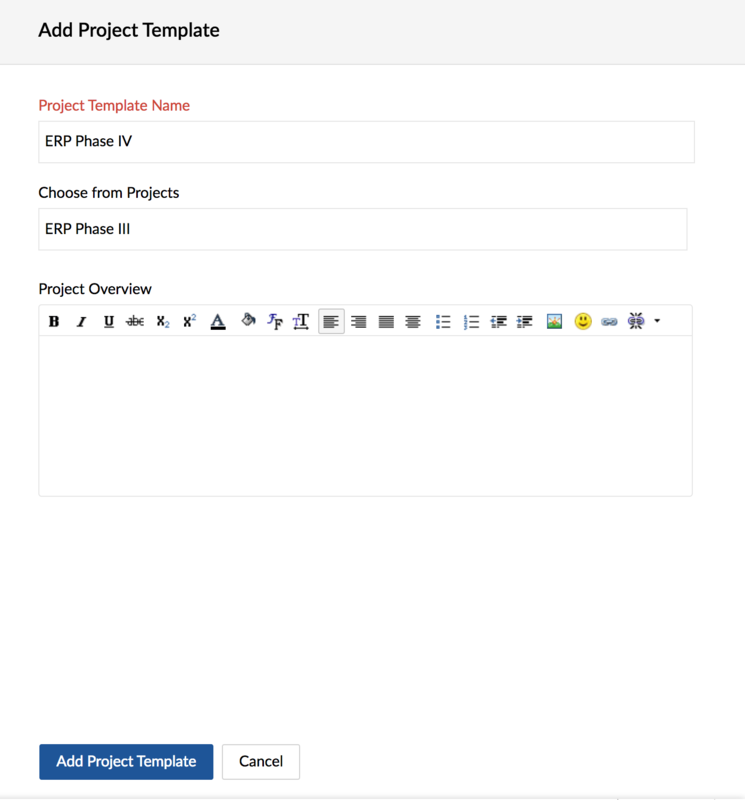 Project templates simplify project creation. 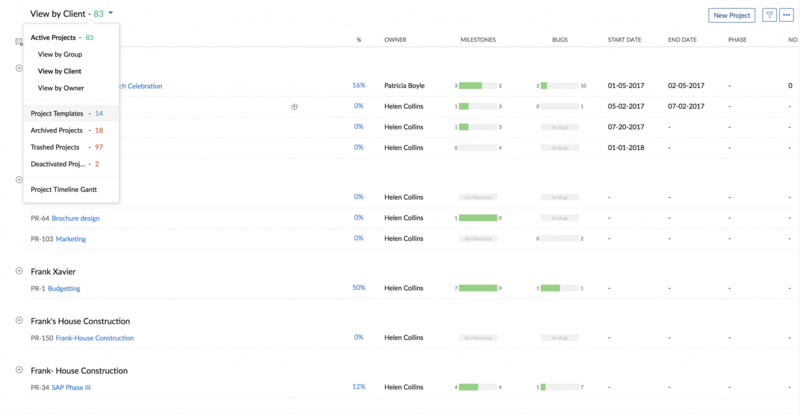 Use templates to create predefined projects. When you create a new project using a template, the project will take its attributes from the template. Navigate to Projects and click Project Templates from the drop down menu on top left corner . Give an overview and click Add Project Template. Note: If you make an existing project as a template, milestones, users, documents, and bug settings from the project will carry over to the template. Navigate to Projects and click Project Templates. Hover over the desired project template. Click and choose the required option to edit or delete. You can now choose and import project template while creating an actual project. While creating a new project select project template. To learn more about creating a new project click here.